“It’s not every day that you get to watch a film on the banks of the L.A. River or at a Food Co-Op in Pasadena or the Baldwin Hills Scenic Overlook. But it’s not every day that the Ambulante Documentary Film Festival rolls into town,” writes the LA Times Carolina Miranda, describing the roving film festival founded by actor-directors Diego Luna and Gael García Bernal, and producer Pablo Cruz. For three weeks, beginning Sept. 19, Ambulante will screen films on topics as varied as Latin boogaloo and Haitian machete fencing, in locations around Los Angeles and beyond. Tickets: The program is free but welcomes donations to cover costs. Hearkening back to the early days of LA Modern Auctions, Billings says its goal is “to provide an affordable and accessible platform for the acquisition of quality, vintage modern furnishings, art, objects and accessories.” Preview and online bidding are also available on LiveAuctioneers.com. And while on the topic of vintage modern furnishings, on Saturday, September 19th, Eames collector Dan Ostroff will talk about his book An Eames Anthology; that’s at the Herman Miller Showroom in Culver City, at 2:00-4:00PM. The event is presented by the Society of Architectural Historians. Music is by Esa-Pekka Salonen, John Adams and Philip Glass. The event is co-presented by Valley Performing Arts Center and Ford Signature Series. Where: Valley Performing Arts Center, California State University, Northridge (CSUN), 18111 Nordhoff Street Northridge, CA 91330-8448, at the corner of Nordhoff and Lindley. Tickets: Tickets range from $60 – $99 and can be purchased by visiting ValleyPerformingArtsCenter.org or calling (818) 677-3000. 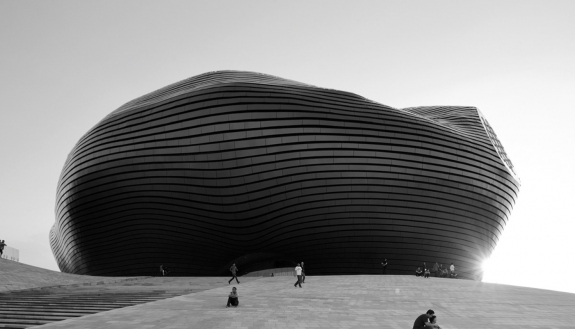 Beijing-born architect Ma Yansong is founder and principal of MAD Architects, one of China’s leading young architects who won the commission to build George Lucas’ museum in Chicago and has a condo building in the works in Beverly Hills. 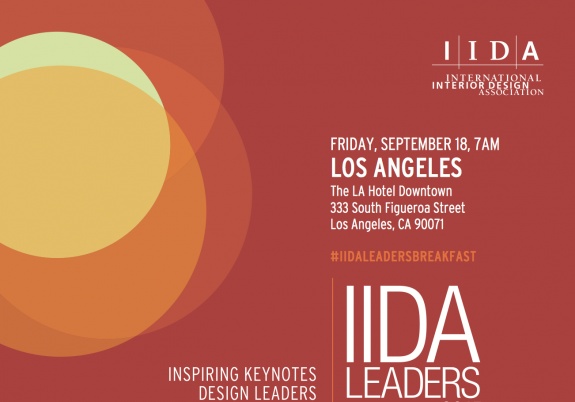 He will talk at LACMA Tuesday night about his work and his concept of “Shanshui City,” which is his vision to create a new balance between society, the environment and the city, through an integration of natural form and vegetation into the increasingly vast towers and developments that shape urban life. You can learn more about him from these DnA audio and print interviews. Tickets: $15 general admission; $10 LACMA and AIA members; $5 seniors 62+ and students with ID; for tickets call 323 857-6010 or purchase online. One of the lesser-known shapers of LA is the engineer Richard Bradshaw, who turns 99 this year. His contribution to the “brutalist” era of the LA cityscapewill be discussed at a panel entitled, After Bradshaw: Conversations with Engineers on LA Architecture co-hosted by the LA Forum and Arup engineers, at which Arups’ Russell Fortmeyer will talk with structural engineer Matthew Melnyk, of Nous Engineering; mechanical engineer Erin McConahey; and the façade engineer Jeff Vaglio, director of Enclos’ Advanced Technology Studio. 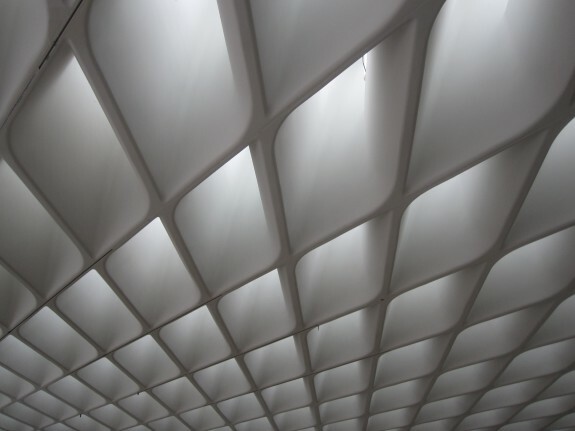 And of course, don’t forget that The Broad opens to the public this Sunday. We’ll report back after the press preview Wednesday.